It requires superhuman abilities to repeat the same movement over and over again for many hours with exactly the same precision. That’s why the collaborative robot is perfect for automating tasks within the factory. In conjunction with tools and accessories, the collaborative robot arms can handle assembly of plastics, woods, metals, or other materials. Collaborative robots can be used in most CNC applications.It can easily be programmed quickly to be used with different machines and peripheral systems such as vision guidance. Improve speed while reducing the risk of injury associated with human operators working in close proximity to heavy machinery. The lightweight collaborative robot is capable of listing up to 10kg of weight (UR10 model.) Program the robot to wrap, seal, box, and prepare for production. Program the robot to paint using brush or spray attachment. Accurate precision and even coverage. 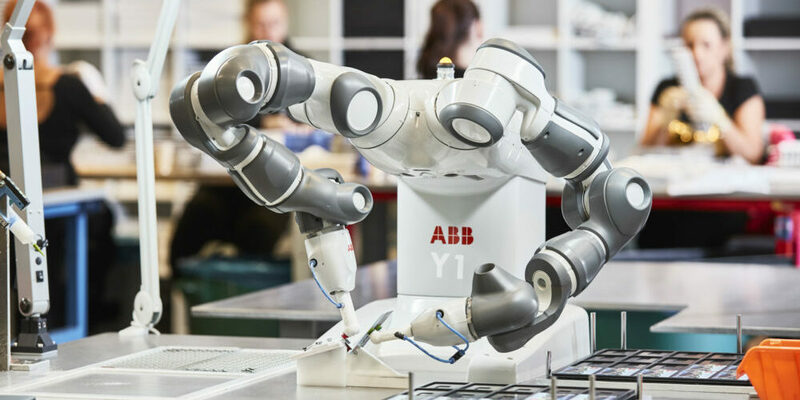 The Collaborative robots can be used across all areas of plastic and polymer production, including injection molding applications. Use the screwdriver attachment tool on the robot to repeatedly secure or remove screws. Program the robot to pick up items and place them in new location. Perfect for conveyor belt work.